Rockwall County’s notoriety comes from being the smallest county in Texas, covering only 147 square miles. But its history includes the possibility it is the site of the oldest civilized community in Texas, something geologist and archeologists have been arguing about since 1852. The East Fork of the Trinity River offered many places of encampment for the native Caddo Indians – the land was rich in natural vegetation, had herds of buffalo and deer, and a variety of smaller game animals. When the first Anglo-American trappers and traders arrived in the area in the early 1800’s they reported that Texas was a land of milk and honey, and that became the basis for the mass influx of settlers. By 1840 people began migrating to the rich farmlands of the region. 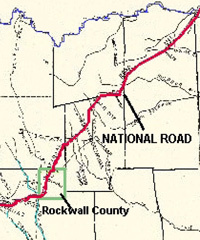 The National Road of the Republic of Texas, or the Military Road, as it was called by most, was surveyed and constructed in the mid-1840s, and it lay through the area that would become Rockwall County. Running northeast from the Red River to near the site of present day Dallas, the cities of Rockwall and Heath were founded along this road. The community took its name from an extensive wall-like underground formation discovered by Terry Wade in 1852. The stone wall was found while Wade was digging a well just outside the present square of Rockwall. Since then, many additional outcroppings of the wall have been discovered in the area, looking strangely manmade, but probably being of geologic origin. During the early years, Rockwall consisted of little more than a post office, blacksmith, grinding mill, church and general store. 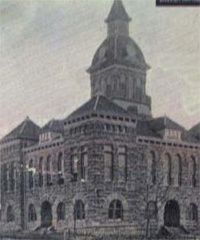 By 1873, the County of Rockwall was established to settle a dispute between residents of Terrell and Kaufman Counties wanting a new county seat location. 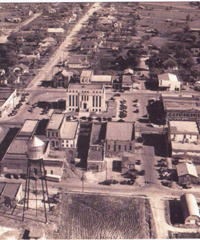 Rockwall grew to a population of 600 as both the seat of the new county and center of business. By the year 1917, the East Fork Levee District was developed creating rich new farmland and by WW I Rockwall found itself in the midst of unprecedented prosperity. Land and cotton prices rose to record highs and local businesses grew rich. However, the Depression of the 1930’s slowed development and population declined. Many merchants and farmers were wiped out and community apathy over local economic problems followed into the 1940’s. Things changed with the completion of Interstate 30 in the late 1950s. This provided easy access to Dallas as well as a more efficient means for exporting and importing goods. Ultimately, nothing helped Rockwall’s prosperity more than the construction of Lake Ray Hubbard in 1969. The lake brought a new focus to Rockwall, with large developments around the lake and the recreational and tourism industry created a strong economy. In recent years, Rockwall has been one of the fastest growing communities in the state. Housing tracts are being developed in outer areas of the city and the Interstate 30 corridor is now built-up with brand name retail and restaurants. Today, Rockwall is considered one of the most progressive cities in the Dallas-Ft. Worth Metroplex.